The history of Einsof Gaming can be dated back to the 1980s. During the days when the PC only reads floppy disk. Console machines - Nintendo and Sega are considered expensive machines. A group of friends in the neighborhood gathered and shared the fun of these entertaining gadgets. Little did they know, this is the stepping stone to the birth of an awesome Gaming Community. As the years past, the friendship is put to the test. Some changed their mindset on gaming as they walked the path of life - Some thought that gaming is a waste of time whereas some others have too many other commitments. Regardless, a few still kept in contact. As for the others, be it coincidental or the call of fate, they bumped into each other at the same school or met in games online. We got together and played various games together in a small group. We were dominating the land as the Baby Bluez Regiment in Shattered Galaxy, reigned as Overlord for 4 elections. Gathered together again in World of Warcraft and formed a Guild by the name of 6 Days 7 Nights, raiding together to explore the world of Azeroth. 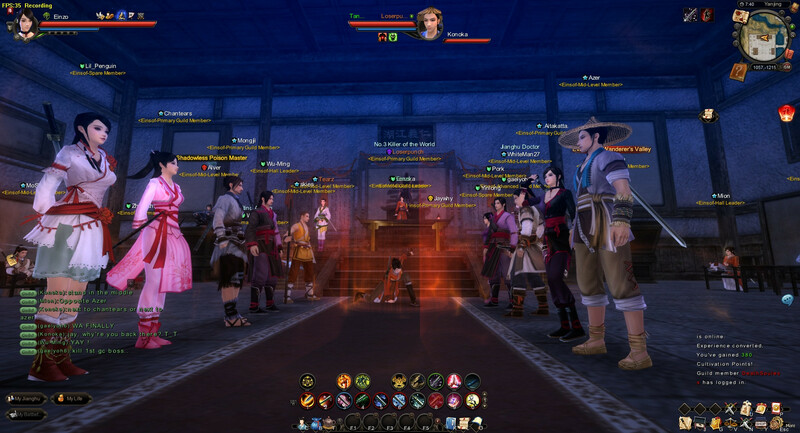 The name Einsof was decided when forming a Guild in Dragonica. From then on, we have decided to stick to the name 'Einsof'. We chose the name 'Einsof' because it is not a common word and seldom seen in games, unlike 'Valhalla', 'Omega', 'Raiderz', just to name a few. Ein Sof is the divine origin of all created existence, in contrast to the Ein (or Ayn), which is infinite no-thingness. Ein Sof may be translated as "no end," "unending," "there is no end," or Infinite. Recently in 2012, Einsof Gaming created a Guild in Star Wars The Old Republic and became one of the largest and most active Guild on the server. Though, we are now not as active as before due to the epic fail of Bioware's handling on the game. 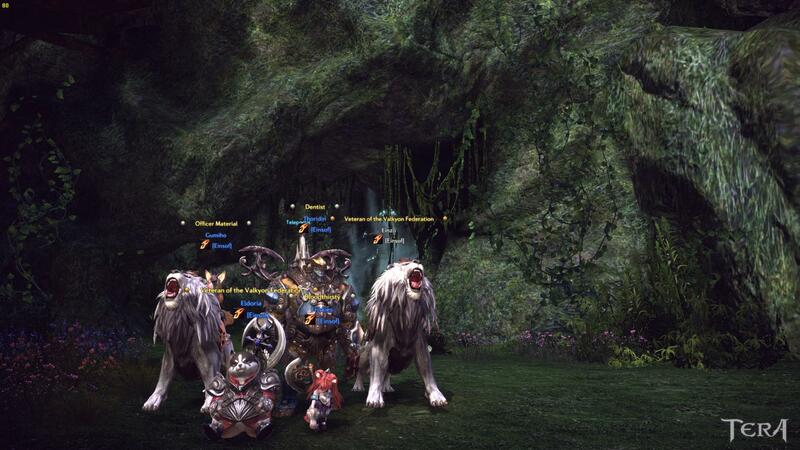 We are now playing Diablo 3 and will be forming a Guild in Guild Wars 2. 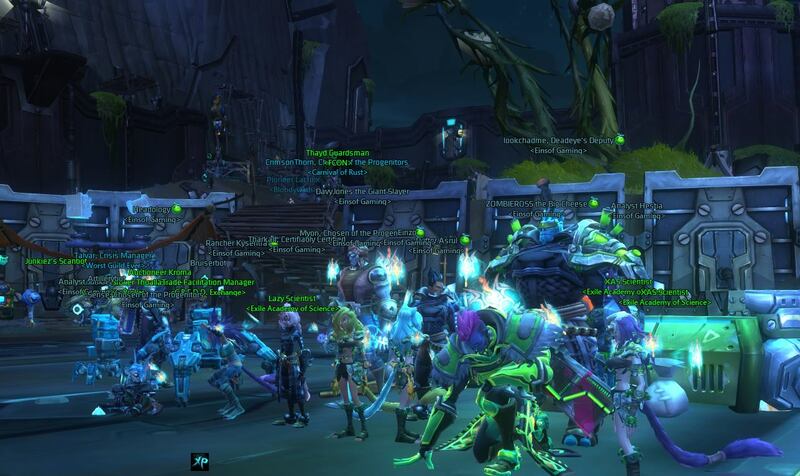 50+ of us pre-purchased Guild Wars 2 and played as a Guild during the first beta weekend. On 18th May 2012, the RaidCall admin proposed an offer to advertise Einsof Gaming on their Featured Recommended Group. We are working hard to make Einsof Gaming become one of the Largest Solid Gaming Community! Come join us on our Epic Adventure as we work on achieving our Goal! When ArenaNet announced the official release date for Guild Wars 2, we started to make preparations for our Guild recruitment. We designed banners, posters, articles, door hangers, etc as part of our Guild recruitment campaign. 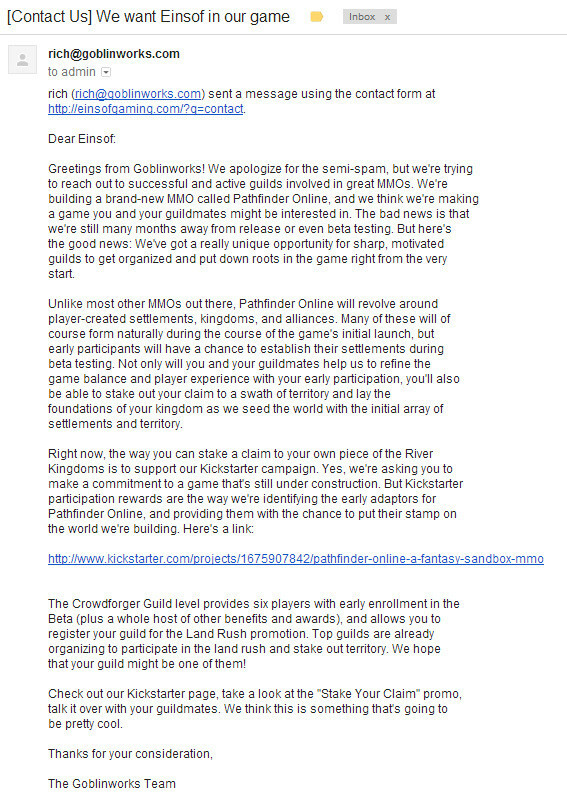 Our efforts paid off as we received hundreds of Guild applications even before the game launched! On Guild Wars 2's launch day, we got really busy as we set up the Guild and send out the Guild invites to the applicants. We had to admit that it was quite chaotic but it was rather fun and rewarding to see the Guild grow! We had more than 100 people on our VOIP (RaidCall)! The Guild was completely filled within 2 days (500 members max) and we still had hundreds of applicants on the list to invite, so we had to make a branch Guild. Einsof Gaming Community never stops growing. We have expanded into many games such as Age of Wushu, TERA: Rising, Warframe, Defiance, Ragnarok Online 2, Path of Exile and much more! You may check out our full game list at http://einsofgaming.com/fullgamelist or visit our forums at http://einsofgaming.com/forums. We are in almost every game! We have gained the recognition of some indie game developers for being a successful and influential Gaming Community. We have been approached by some of them to test out their games and some of them want us in their game. 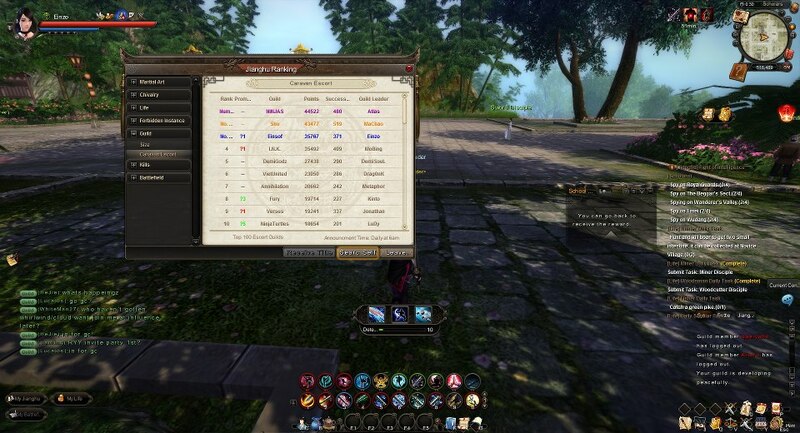 For an example, Goblinworks who is currently developing a fantasy open world MMORPG entitled Pathfinder Online. We are looking forward to these upcoming games: Lost Ark, Pathfinder Online, Tree Of Savior, Blade and Soul, Kingdom Come Deliverance, Black Desert, Everquest Next, The Repopulation, Bless Online, Lineage Eternal and much more!